For most of us, the closet is where we store our clothes—and hangers are what we use to organize them. And while it may seem as simple as stashing your clothes on a hanger and being done, proper clothing storage requires a little more thought. When picking out hangers, you want to make sure the ones you have meet the needs of your wardrobe. 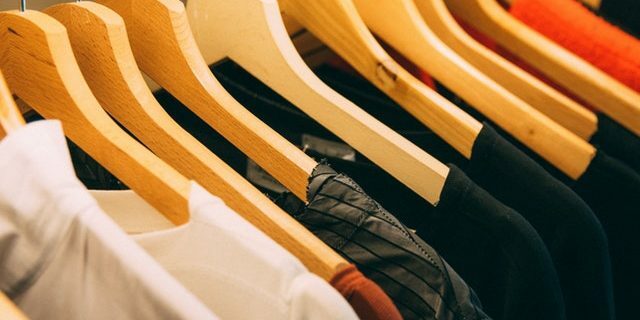 Varying sizes are necessary to keep clothes in good shape; heavier clothes should go on sturdier hangers, and metal hangers aren’t worth it at all when compared to other hanger materials. You should also keep heavy knitwear, such as sweaters, off of hangers altogether. The weight of the clothes themselves can cause the knit to distort when hanging. Instead, fold and store them, either in drawers or on cotton or canvas hanging closet organizers. For dress pants, you don’t want to fold them in half and hang them. Instead, use hangers with felt lined clips to help preserve creases.